During the first half of 2017 Volkswagen was the top-selling car brand in Switzerland followed by Mercedes Benz and BMW. The Skoda Octavia was the best-selling model. New passenger vehicle registrations in Switzerland increased by only 0.6% to 158,918 cars during the first semester of 2017. Volkswagen was again the best-selling car marque but lost market share with a weak performance. 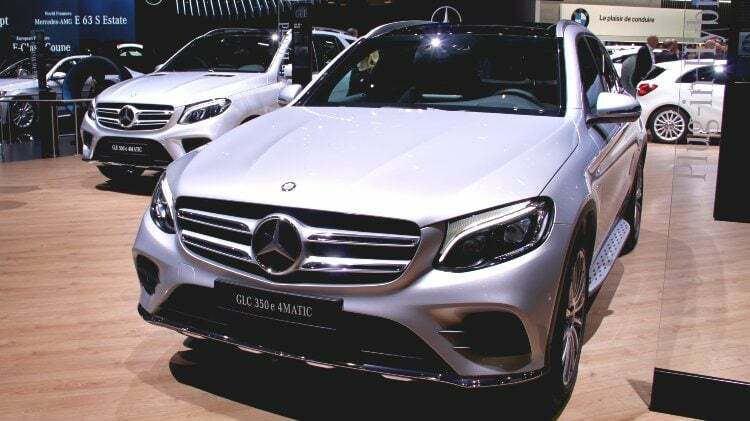 Mercedes Benz sales increased strongly to move into second place ahead of BMW. Nearly half of all new cars sold in Switzerland thus far in 2017 were four-wheel drive while the popularity of diesel cars continued to decline. The Skoda Octavia was the favorite car of the Swiss thus far in 2017. During the first six months of 2017, the Swiss new car market grew by only 0.6% to 158,918 passenger vehicle registrations. Sales of four-wheel drive passenger vehicles in Switzerland increased by 8.1% to take a 46.3% of the Swiss new car market during the first semester of 2017. The market share of diesel cars slipped to 37.5% – in contrast to many European countries, diesel fuel in Switzerland is more expensive than petrol. The sales of electric cars in Switzerland increased by nearly a third but the actual number – 2,024 cars – and market share – 1.3% – remained low. Volkswagen remained the largest carmaker in Switzerland during the first half of 2017 but sales were down by 8.6% to 17,701 cars. VW had the weakest performance of the top ten most-popular car brands in Switzerland. VW lost just over a percentage market share. VW’s decline is partly due to continued fallout from the emissions scandal but also delivery problems with some models. Mercedes Benz, in contrast, had a strong performance in Switzerland during the first semester of 2017. Mercedes Benz increased sales by 12.1% to increase market share by nearly a percentage point. Mercedes Benz replaced BMW as the second best-selling car brand in Switzerland thus far in 2017. BMW sales in Switzerland increased by a modest 1% thus far in 2017. Despite leading the top-selling model list in Switzerland during the first half of 2017, Skoda sales were down but without influence on rank position. Audi sales were up but again without affecting relative sales position. Opel sales in Switzerland increased in 2017 allowing Opel to move up one rank position at the expense of Renault that slipped back with weaker sales. Ford maintained 8th place with stronger sales. Seat entered the top-10 list with sales up by more than a third. Seat was the 13th largest producer a year ago. Toyota maintained its tenth place in Switzerland while Peugeot slipped from 9th to 11th. The most-improved brands were Alfa Romeo that more than doubled sales while sales of Seat and Dacia were up by more than a third. The worst performing brands were Kia and Honda. DS slipped out of the top-30 with sales down by 50%. All French and South Korean brands had a weaker start to 2017 than a year ago. The Swiss new car market is highly competitive with the 160,000 cars sold thus far in 2017 divided between nearly 400 different model names. Apart from the top two models, the list of top selling cars in Switzerland frequently changes. The Skoda Octavia was again the best-selling car model in Switzerland during the first half of 2017. The Octavia also outsold its sister model – the VW Golf – during the first half of last year but over the course of the full 2016 the Golf again came out on top. However, both the Octavia and Golf had fewer sales over the first six months of 2017 than a year ago. The VW Tiguan took third place in Switzerland by more than doubling sales thus far in 2017. The Tiguan is helped by a new model launch – the model was only 24th during the first half of 2017. The VW Polo slipped from third to fourth despite stronger sales. A complete model change is expected for the Polo by the end of 2017. The Mercedes Benz C-Class moved up two positions, as did the VW T6 (microbus). The BMW 2 Series slipped one position. The rest of the top-ten list are all new entrants for 2017: the Fiat 500 up from 15th, the Opel Mokka up from 25th and the Mercedes Benz GLC up from 29th. The four cars slipping out of the top-ten list of best-selling car models from a year ago: the Seat Leon (10th to 13th), the Audi A3 (9th to 14th), VW Touran (4th to 23rd) and the VW Passat (5th to 22nd). The latter two at least partly affected by model changes and production shortages after a fire in a parts factory left new Passats without glove compartment covers.